A joint team of the paramilitary forces and the police went inside the core area of the People's Liberation Guerrilla Army (PLGA) -- an armed wing of the banned Communist Party of India-Maoist -- as part of an operation against the Maoists. Eight Maoists were killed and one was injured on Monday in a gunfight with security forces in Chhattisgarh's Sukma district, police said. It started around 10.30 a.m. in a forested stretch near Sakler village. 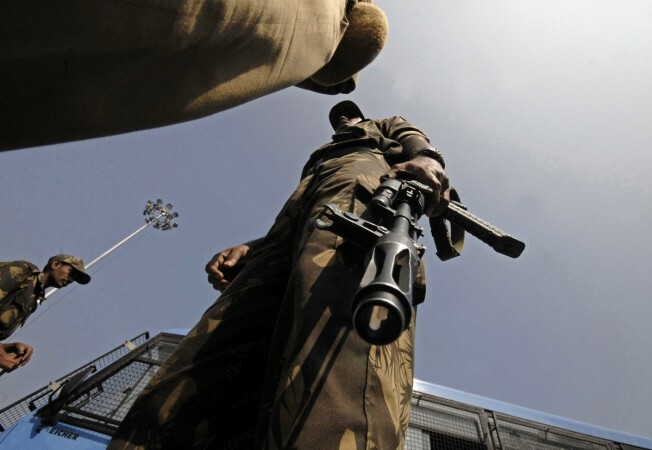 Over 150 Left wing extremists clashed with troopers of the Central Reserve Police Force (CRPF) and the District Reserve Group of the Chhattisgarh Police, an official said. "Security forces of different units went inside the PLGA's core area from different directions," CRPF Deputy Inspector General M. Dinakaran told IANS. All eight bodies were recovered while the injured PLGA member was taken into custody. A large number of arms and ammunition was seized. They were being taken to Kistaram police station. The CRPF called it a big achievement. A combing operation was still underway.